BALANCING NATURE AND THE ENVIRONMENT WITH ONE SOLUTION. Veterans of the snow industry, Harmoney Deicing has been working in snow removal for 20 years. Experienced as self-employed snow contractors, we understand the needs of our private contractor clients as well as government agencies. 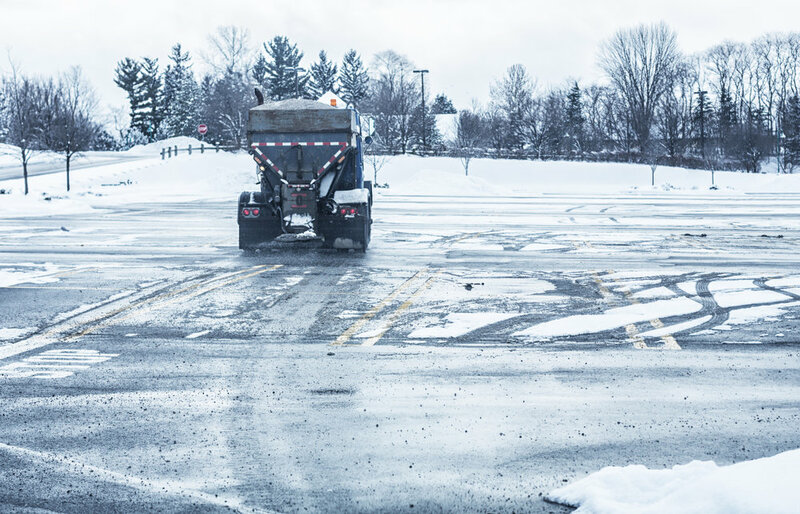 Harmoney Deicing is Illinois top snow removal products and liquid deicing supplier. How can we help you select and properly apply the right snow and ice removal and prevention products to meet your needs? ...is a 23% Sodium Chloride Brine that provides superior melting power. Ready to use as a liquid, this is one of our most cost-effective brine options. Of course we have rock salt! From our docks to your bin, we have you covered. ...is a renewable resource that provides excellent melting power. Ready to use as a liquid, our Calcium Chloride Brine can be used for pre-wetting, anti-icing, and deicing. Liquid Potassium Acetate is a liquid aid in breaking the bond of the ice/snow to the surface. It meets FAA approved specification SAE AMS 1435C. Sodium Formate is able to melt ice and snow faster than urea and sodium acetate, sodium formate is effective at lower temperatures. Harmoney Deicing Products is now carrying the GVM Snow Equipment line of liquid and snow equipment.